MPE created Digital Media Campus, a 55,000 virtual city that provided all the necessary tools required for entrepreneurs to launch digital business in the Sports and Entertainment space. Investors in DMC included such tech luminaries as Larry Ellison, Marc Andreessen, Ben Horowitz, and Ron Conway as well as sports and entertainment icons such as Arnold Schwarzenegger, Quincy Jones, Shaquille O’Neal and Oscar De La Hoya. MPE developed the "Golden Boy" trademark and helped position the brand for future success in the boxing promotions business. MPE also helped De La Hoya create a Music Label, which included a Grammy nomination for Oscar as a musical artist. MPE represented Shaquille O’Neal for nearly 10 years, from 1992 to 2001. In the process, MPE orchestrated deals totaling $250 million, including one of the largest free agent signings in NBA history, a seven-year deal worth over $121 million to become a member of the Los Angeles Lakers. As a Laker, O’Neal flourished during the best years of his career, including three world championship titles and one league MVP. As an agency, MPE created a formula for converting Celebrity into "brand" by launching and building Shaquille O'Neal's brand with a powerful coalition of marketing partners and positioning Shaq as a "tech influencer". In 2013, MPE created the World Series of Beach Volleyball, the biggest sports/music/beach lifestyle event of its kind, with partner NBC Sports and sanctioned by the FIVB and USAV. This unprecedented event brings the world’s greatest beach volleyball players and their fans together in a way that’s never been seen before. The World Series of Beach Volleyball is the premier event in the sport plus more; it’s a week-long festival celebrating “all things beach,” including sports, music, culture and community. In May 2012, Leonard Armato became a member of the Harlem Globetrotters Board of Directors. In addition to being a member of the board, MPE also assisted in the business development efforts, including signing a three-year, seven-figure sponsorship deal with Wonderful Pistachios. 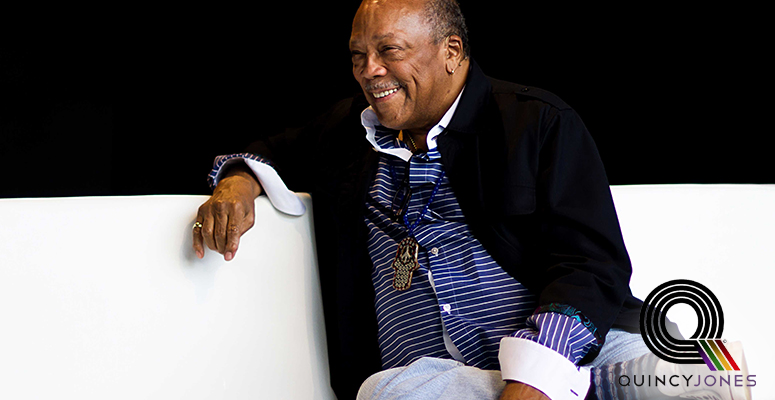 An impresario in the broadest and most creative sense of the word, Quincy Jones’ career has encompassed the roles of composer, record producer, artist, film producer, arranger, conductor, instrumentalist, TV producer, record company executive, magazine founder, multi-media entrepreneur and humanitarian. Quincy’s creative magic has spanned over six decades, beginning with the music of the post-swing era and continuing through today’s high-technology, international multi-media hybrids. Antonina Armato and Tim James have written and produced hit songs for top artists including Mariah Carey, Miley Cyrus, Wyclef Jean, Selena Gomez, Gwen Stefani and many more. In addition to writing, producing and curating music, Rock Mafia has fueled multi-billion dollar programming and merchandising as well as products and marketing campaigns for numerous mega-brands such as Coke (FIFA World Cup & the Special Olympics), NFL (Anti-Bullying campaign), Disney, Viacom, EA / EA Sports and the NBA. Graduated from Archbishop Mitty High School in San Jose, California before attending Stanford University. During her time playing for the Cardinal, Kerri became only the second volleyball player in NCAA history to be named a four-time First-Team All American. After graduating from Stanford in 2001, Kerri moved her game to the beach and partnered with Misty May-Treanor. The duo became the greatest beach volleyball team of all time, winning three straight Olympic gold medals (2004, 2008, 2012). In route to their three Olympic gold medals, the pair won 21 consecutive Olympic matches (losing only one set to Austria in 2012) during their 11-year run together. Won three straight World Championships with May-Treanor (‘05, ’07, ‘09). Married to fellow American beach volleyball player Casey Jennings. The couple have three children, sons Joseph (2009) and Sundance (2010) and daughter Scout (2013). Second of four children. Her father, Tim, played minor league baseball with the Oakland A’s and semi-pro basketball. Her mother, Margie, was a two-time Most Valuable Player in volleyball at Santa Clara University. From 2010 to 2012, Armato served as CMO of Skechers where he oversaw the company's creative agencies and orchestrated two Super Bowl campaigns. In 2010, Skechers became the fastest growing footwear company in the world, increasing sales from $1.4 billion to over $2 billion. Armato also served as President of Skechers Fitness, launching the company's performance division. As a sports and entertainment consultant to LA Gear, MPE developed strategies and negotiated LA Gear’s agreements for such entertainment icons as Priscilla Presley, Heather Locklear, Paula Abdul and Michael Jackson. Leonard Armato served as CEO of the AVP Pro Beach Volleyball Tour from 2002 until 2009, where MPE acquired an insolvent AVP in 2002 and by 2007 grew the public company into a business valued at nearly $40M with a total of 37 events across the US.